For twelve consecutive years now, the last day of September and the first day of October have created a strange tension for this father of five. 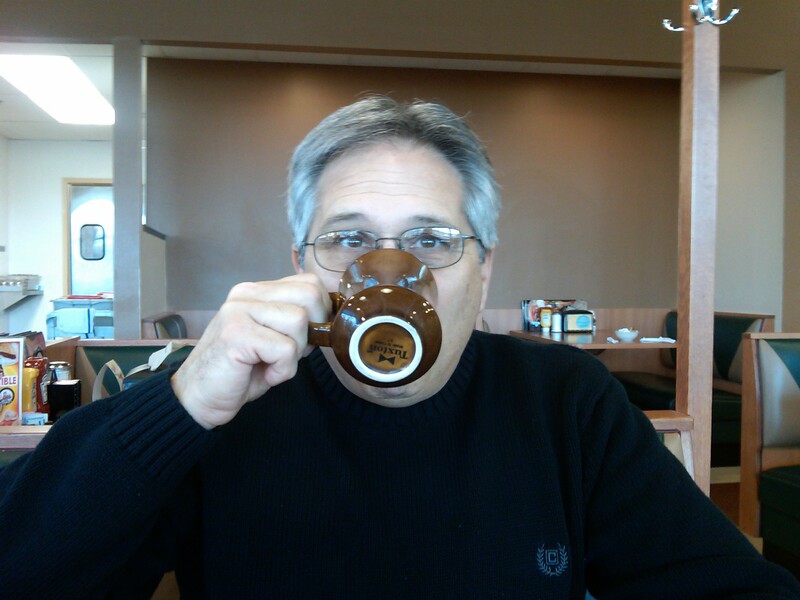 On the morning of 30 September 1974, in Rochester, Michigan, the second of my five children, and the first of three sons, was born. However, on the morning of 01 October 2006, USMC Captain Justin Dale Peterson was killed while he and his team were returning from a mission in Al Anbar Province, Iraq. Twelve years after the phone call from my daughter-in-law Patty that radically impacted my life then still carries and indescribable impact. This morning, 30 September 2018, as I spoke to a church audience, out of nowhere I was once again ambushed by my emotions. In a manner of Nano-seconds, my mind raced through two phone calls of that Sunday twelve years ago. The first was from my youngest son Joshua, also deployed with the USMC in Al Anbar Province, Iraq. In the SBC Association apartment where I was staying in Illinois, I was almost dressed and ready to leave for my speaking engagements that day. Joshua’s words are forever etched into my mind. Don’t talk, dad—just listen—because I’m not supposed to be on the sat phone. I need you to pray. We’re going on our first mission today and we’ve already had a Marine fall somewhere in Anbar Province this morning. I love you, dad! Bye. 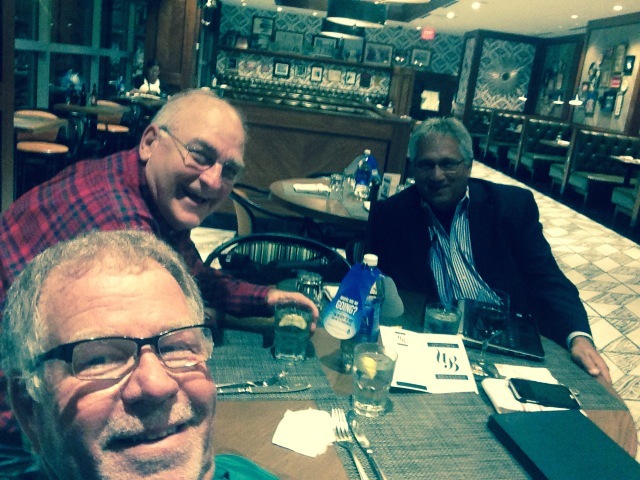 The second call came while awaiting our late evening meal in a small restaurant in Sparta, Illinois. Excusing myself from the table and making my way to the door, I answered the mobile phone to hear a barrage of soft-spoken questions from my daughter-in-law Patty. Dad, where are you? Are you driving? Are you alone? Fast forward from that eternally long night in 2006 to today, Sunday, 30 September 2018, and tomorrow, 01 October 2018. Life has continued for all concerned; however, adjustments have been required of every family member and friend of Justin—especially his wife and children. Let’s jump from “my story” to your story for a moment. Is there someone in your life that you love but time, distance, or circumstances strain your relationship? Take the necessary steps to rekindle that relationship while time permits. Has death snatched someone from your life that you miss dearly? Do you experience a heartache that almost consumes you? Nothing in this life can bring them back. However, that does not mean that you are without hope! I’ve been reminded of (and even distracted by) this very concept by a new television show that has been playing in the background as I write. It was about a young man who received a friend request from God. BTW, do you pray? If so, would you pray for my family and me? These two days each year bring with them a measure of stress and grief. Each of us tries to fix our focus on the pleasant memories (and there were many) and funny events (and, believe me, there were certainly many of those), but there remains a void in each of us. We recognize that our voids and heartaches are temporary, that we will see Justin again one day. However, we still experience a measure of sadness, though we do not sorrow like we have no hope. While you’re praying, why not remember the countless thousands of families around you who must deal with the sadness that comes to everyone when a friend or family member slips past and into eternity ahead of us. 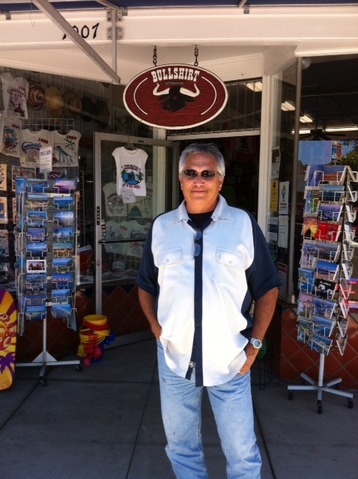 Every Memorial Day weekend for decades has found me somewhere across our country, addressing audiences regarding the purpose of this hallowed time of remembrance. Sunday, 27 May 2018 was no exception. To my heart, spending time with Pastor Bill Herald, his wife Phylis, and their congregation had special meaning for this Gold Star dad. Although yesterday’s morning service was at First Baptist Church of Crystal Lake (IL), almost twelve years ago, on Sunday, 01 October 2006, I had also spoken for Pastor Herald at First Baptist Church of Sparta (IL). You see, it was after the third service of the day that Bill, Phylis, and I were awaiting our late-evening meal at a local restaurant, when I received a phone call that would change my life. My daughter-in-law Patty, after asking where I was, if I was alone, and if I was driving, broke the news to me that her husband—my oldest son Justin—had been killed that morning in Al Anbar Province, Iraq. I will forego any attempt to describe the impact of that brief phone call. 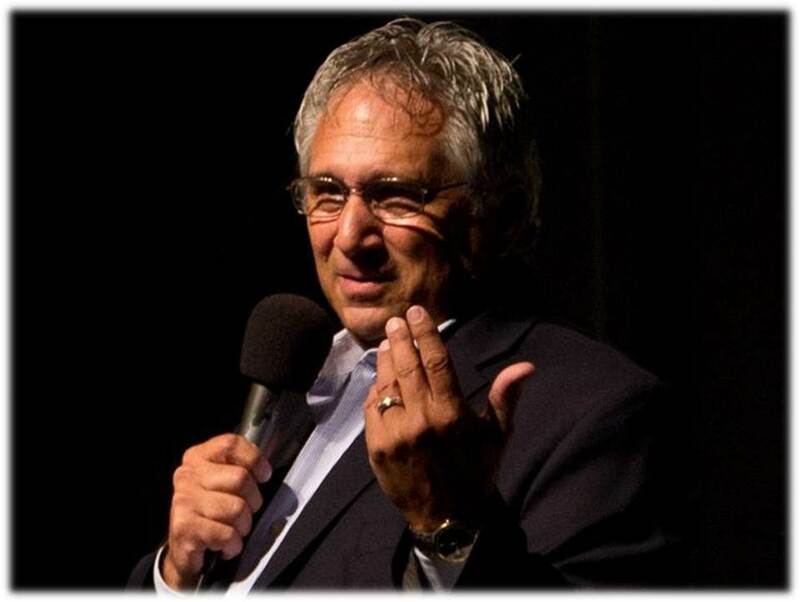 However, as I spoke to the wonderful congregation yesterday in Crystal Lake, there was an inexplicable chemistry in the auditorium as I spoke, but one that comes when an audience knows that the speaker really understands experientially the subject of his address. Also, the day was special to my heart because I was sharing time yesterday with the two friends who were there for me when I received that devastating news. As I’m composing this essay, another friend—an OR nurse from Commerce Township (MI) texted, asking “How do you separate your pride from your pain?” My answer: “I think it’s inseparable on a day like this.” Perhaps that harnesses the very purpose of Memorial Day—meditating on the pride in the shared values that have made America the greatest nation in human history as well as the painful price that has been paid. Reality is this—one percent of Americans shoulder the responsibility of the military safety and security for the remaining 99%. Some of the 99% will mistake Memorial Day as a time to celebrate freedom … and I understand. However, that is the purpose of the 4th of July. Others of the 99% will thank the men and women in uniform for their military service. While that is well and good, that is the purpose of Veterans Day each 11 November … and I understand. A few (and I hope it is no more than a few) may celebrate the holiday but forget altogether the sobering significance of this day. However, on this day there are families across this land who truly understand that America should observe, not celebrate, Memorial Day. They have no trouble remembering because they can never forget … and I understand. Neither our Fallen nor their Gold Star families want your pity or sympathy. We want your respect, your remembrance, and your gratitude for the freedom you enjoy, purchased by so few to benefit so many and at such great cost. Parents have been deprived of their offspring to make that purchase for you. Lonely spouses embrace soft pillows at night rather than the rock-hard bodies of their life mate, crying themselves to fitful sleep—a price they paid for you. Children graduated from kindergarten, high school, and college, but without a parent to cheer their accomplishment. They did not ask to pay the price, but the price was still paid—for you. BTW, do you pray? If so, wouldn’t today be an excellent time to press the ”Pause button” for a few minutes of your day, try to imagine the sacrifices of others—for you—and speak your gratitude to the ears of The Almighty God? I know that the extended Peterson family would appreciate your remembrance of U.S. Marine Corps Captain Justin Dale Peterson. Now … as soon as I hit the “Publish” button, I think my wife and I will fire up the red ’65 Cutlass and drive up to Great Lakes National Cemetery and express that gratitude in person. After seeing comments and photos on Facebook, and with Mother’s Day looming only hours ahead of us, my mind has turned to thoughts about my mother—Hazel Margaret Summers Peterson. While some of us think of our mothers every day, I find it sadly interesting that we require a special day each year on which to “remember” our moms (“Mums” for my British friends!). While my younger brother Dennis and much younger sister Gina still call her “Mother,” somewhere along life’s journey I began calling her “Mom.” That notwithstanding, the three of us think of her daily and are eternally grateful that she was our mother. It’s safe to say that we are mostly grateful for the principles of life she and Dad instilled in us. Both Mom and Dad were apparently popular in school. By their senior year at Halls High School, they were class officers. Though a small graduating class by most standards today, that class remained a close-knit group for decades—until death has eliminated almost all of them. I suspect that those who stepped from time into eternity are still holding annual class reunions in a heavenly park somewhere. Following high school, Mom enrolled in and graduated from Knoxville Business College, and served as an executive secretary until just before I was born in May 1950. After that, her focus was primarily her home, family, friends, and church. Though a tiny woman, Mom could out-work most men, and she took immense pride in everything she did. Our mother was beautiful “inside and out,” though I generally dislike that phrase. By breakfast time each morning, she was up and dressed. We seldom saw her in the kitchen in her night gown, robe, and slippers. To this day, I still make the bed when I get up, brush my teeth, wash my face, and comb my hair before going to the kitchen for coffee each morning. I’m not sure how much Mom was a contrast to other women in the 1950s, 1960s, and 1970s, but she would be a huge contrast today. I understand that things change with time but am not convinced that modesty should have. Despite her beauty, and since Mom was a picture of modesty, I can’t picture Mom leaving her bedroom wearing only thin, colored tights and a skimpy, tight top, let alone going out in public dressed like that. However, there was that time at a formal dinner in our dining room at home! I don’t remember who the guests were, but all the men were in suits and ties, the women were dressed to one step short of formal gowns. Everyone was seated along either side of a perfectly set table (Mom taught OCD), with Dad and one end and Mom at the other. Whether she had forgotten something in the kitchen or just needed to bring in the freshly baked rolls, I don’t recall, but pushing back her chair, Mom stood to her feet. When she did, her dress skirt (with about 20 buttons down the front) dropped to the floor! Faster than the skirt hit the floor, Mom’s face went blood-red, and she quickly but gracefully seated herself again, hoping no one noticed. How she managed to get her skirt back on, I haven’t a clue, but I’m sure she found a way to do it—gracefully. I doubt she ever wore that skirt again! That reminds me of another time … same dining room … different guests, because I’m guessing she never invited the other people back! Everything was on the table and the food had been passed around. Amongst the culinary offerings on everyone’s plate were small, round, pickled beets. After a few bites of food, Mom attempted to cut one of the beets on her plate using only her fork. As fate would have it, the fork popped the whole beet off the plate and down the front her white, silk blouse. In its path, from where it hit near her neck and slid or rolled down her blouse into her lap, was a bright purple/red stain! Yes, Mother’s Day is a wonderful time to contemplate the numerous aspects of our relationships with our mothers. My siblings and I were fortunate enough to have a godly, wonderful mother. Not everyone had (or has) a great mother, but whoever your mother is, be thankful that she gave you the gift of life. I often contemplate the lives of two of our grandchildren who were adopted by Brandon and Charity, my son-in-law and oldest daughter. While the two children will know little or nothing about their birth mothers, they will experience the love of a godly mother and father, just the same! BTW, do you pray? Perhaps right now would be a wonderful time to stop and pray! Perhaps you need to express your gratitude to God for the woman who gave you life at the very least. However, whether your mom was absent, lousy, or wonderful, understand this. What you do with your life now isn’t about her—it’s about you and the choices you make each day. Be your best. Make the best of each day. If you are a mother, be the best mother you can be. Around the globe each Sunday there are churches who transfer pastoral leadership from one man to another. This occurs for a myriad of reasons, including death, geographical relocation, and retirement. One such congregation is the First Baptist Church of East Longmeadow, Massachusetts. 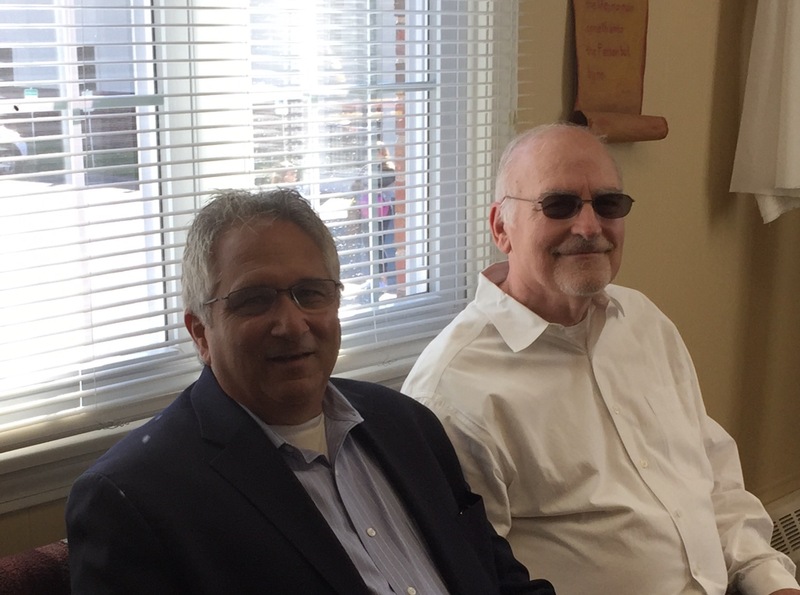 Earlier last Sunday morning, my best friend of more than 40 years—Pastor Dave Brown—passed the baton of pastoral leadership to John Kearns. Dave had piloted successfully their ship for more than 26 years. It was my privilege to speak for 6-8 minutes and sing prior to Dave’s final message as lead pastor. His last message was his closing sermon for a series encouraging the congregation toward their future. The talk that I heard guarantees a solid foundation on which future ministries can be built. Over a quarter-century ago, the FBC congregation prayerfully made a decision that changed the courses of many people’s lives, when they enlisted the services of Dave Brown, calling him to relocate from the hills of southwestern Pennsylvania to East Longmeadow, Massachusetts. While the church body settled into their homes as usual after school & work, a much younger couple packed up all they owned, uprooted themselves & their four young children, moved onto Parker Street, & chose the people of that church & community as their new friends. I know the congregation laughed, wept, & worked together for 26 years. There were defeats, disappointments, distresses, & discouragements—as is the reality of life. There were also accomplishments, growth, & victories—all the result of their perseverance. As of yesterday, that community of believers wrote the closing actions & attitudes of yet another chapter in the rich history of First Baptist Church of East Longmeadow. They are penning to some extent the closing words of this chapter of the lives of Beverly & David Brown as well. With this milestone in the life of my friend Dave Brown, I realized something. While that church’s relationship with Pastor Brown began 26 years ago, our friendship that began almost half a century ago was a modern-day version of David & Jonathan. When I spoke to the congregation in East Longmeadow, I wanted to leave three basic thoughts with them on the occasion. First, to them as a congregation—I thanked them for loving & for caring well for my best friends & their extended family. I asked them to spend some time reflecting on the investments that Pastor Brown had made in their lives, and to then thank God & thank the Brown’s. Secondly, I wanted to address the Brown family. I am thankful for the sacrifices that each family member made so their husband, dad, or Papa could give so much of himself to the scriptures & to the sheep of that pasture. I cautioned them to never resent that, but rather be thankful that Dave Brown’s heart has been big enough for God, for them as a family, AND for all who called First Baptist their church home. Finally, the best thing that I could say to Dave Brown—thank you for being my friend who has stuck closer than a brother, sharing common values & vision, & in a way few men ever grasp—except Jonathan & David. We truly have shouted together in victory. We have wept together in heartaches. BTW, do you pray? If so, would you pray for my friends Bev and Dave Brown as they transition from his senior pastorate to whatever God has next for them? Thanks! One of my favorite Alan Jackson songs is the rather nostalgic Remember When. The lyrics reflect the years from the beginning of his marriage, the deaths of loved ones, learning from mistakes, and listening to the pitter-patter of their small children were small. The song also includes reflections of 30 seeming so old, but also a commitment to each other, when they grow old and gray, to be glad rather than sad, and thankful for the lives they had. I like that song! Here’s a link to it, if you’d care to hear it before continuing to read, go to https://www.youtube.com/watch?v=TTA2buWlNyM for a video. This weekend is one of those times of year when I need to keep that kind of focus. Eleven years ago, on 30 September my oldest son, USMC Captain Justin Dale Peterson, turned 32 years old. There was no celebration as civilians might think of a birthday—Justin and his team were on a mission in Al Anbar Province, Iraq. The next morning, while returning from that mission, 01 October 2006, Justin was killed. Suddenly, life was changed, disassembled, rearranged, indeed. But “the siblings,” as my children and their spouses referred to themselves, gave me a wonderful perspective by the examples they set for anyone who was listening or watching. They still do today. Here it is: Like the song, they chose to focus on the life of Justin that they enjoyed together, rather than concentrating on the loss. Yes, believe me, the loss is always there, but our losses can be tempered by the joys of life—if we so choose. 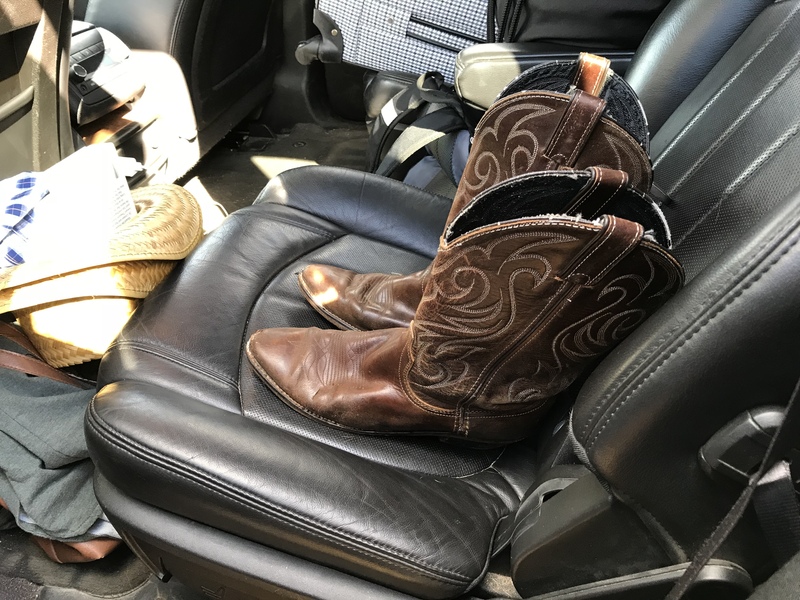 So, this morning as I pulled on a pair of western boots, it was with the purpose of remembering when … and I can’t tell you how many times this morning I’ve smiled and laughed, even through tears. Even the boots I’m wearing tell something of a bigger story. 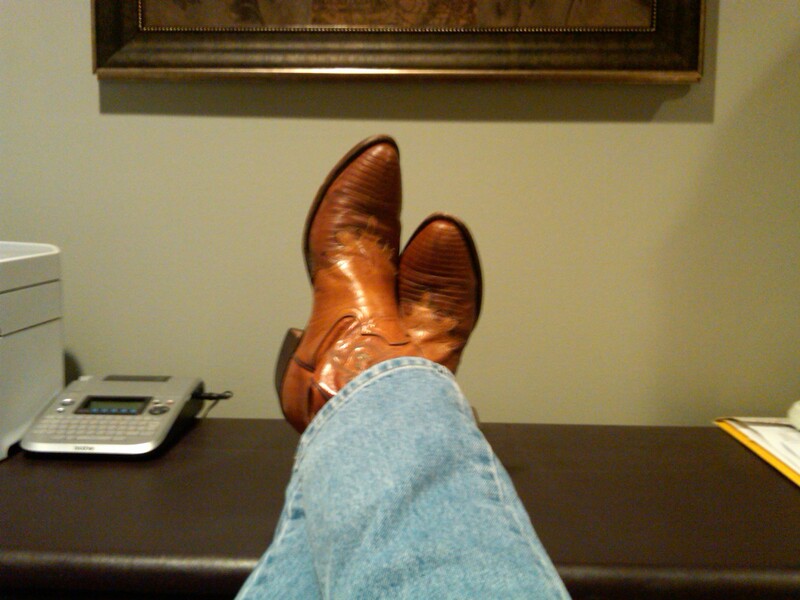 As a young boy, Justin was fond of his “cowboy boots,” and never drifted very far from them at any time. 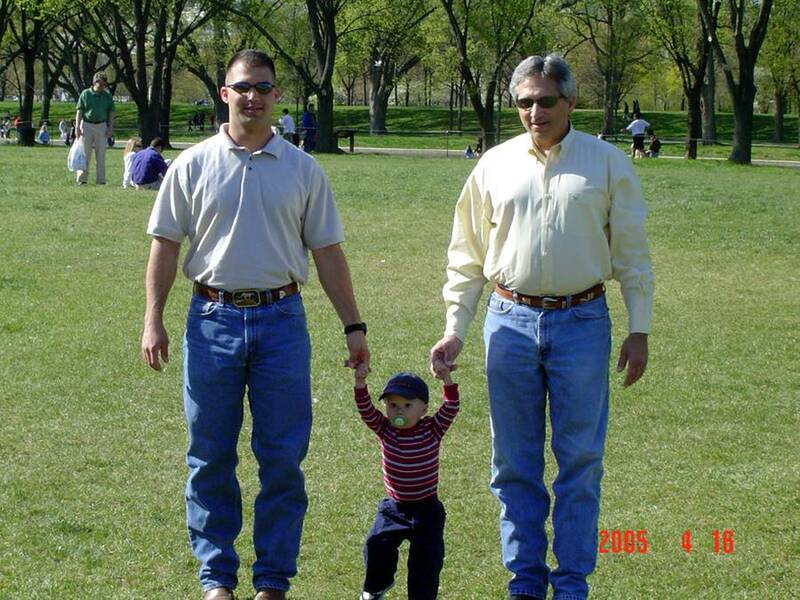 His two sons—Jared (JDP5) and Jayden (JDP6)—seem to have that DNA chromosome as well. 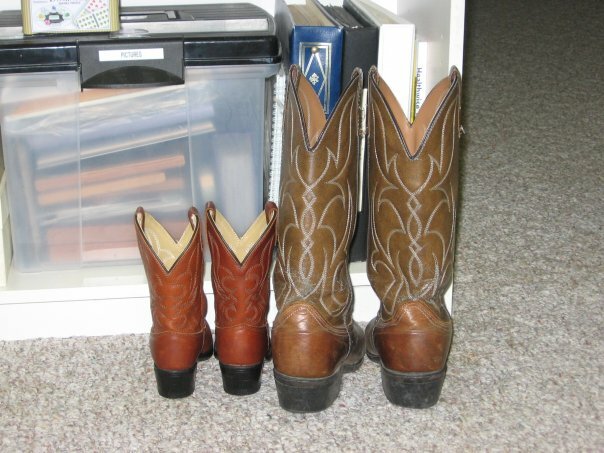 The boots (pictured below) were left behind by Justin when he deployed to Iraq, and beside them is a pair of Jayden’s. Just a few days ago, Jayden’s mom Patty texted me a picture that brought laughter, pride, and tears rushing over me. For a part of his costume for Spirit Week at Oakland Christian School, Jayden slipped into this pair of his dad’s boots for the first time—and they fit! I asked Patty, “Did the boots make him (referring to Jayden) walk pigeon-toed?” Those who knew Justin understand that comment. In fact, you may even have a “Justin story” or memory of your own. If so, his family and friends might like to hear it! And, BTW, do you pray? If so, would you join the extended Peterson family today, tomorrow, and any other day that Justin comes to your mind, in a prayer of gratitude for his life? Although I still miss my boy, two things come to my mind: He touched a lot of lives, and his family surely loves him and is very thankful that we’ll be seeing him again! Now, where did I put those Twizzlers???? Given the current bruhaha amongst us, it seems to me that if anyone on the playing field of American life should understand what is happening, it should be professional athletes. Here’s why—(and I’ll limit my scope to the NFL)—the principles would apply across the boards. Almost everyone understands there are two sides to every contest—offense and defense. 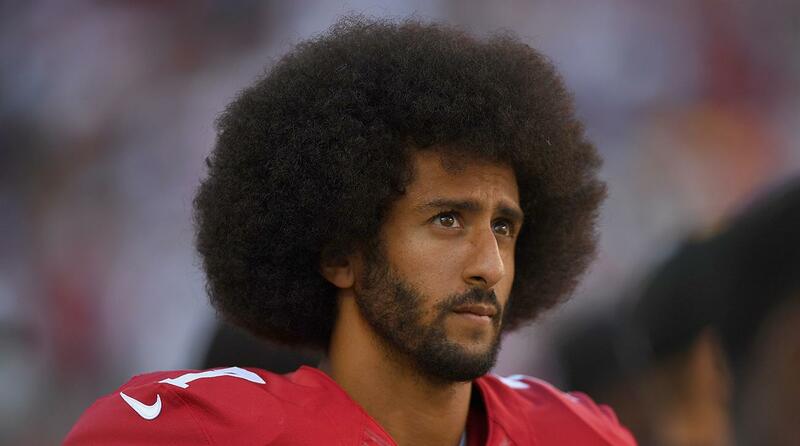 If Mr. Kaepernick (and all the subsequent players who have joined his expressions of concern for a cause)— (I’ll expand this momentarily)—of all people, he should have expected to see pushback. No one should be surprised that whenever one side goes on the offensive, the defense responds, pushes back, and stops advancement. 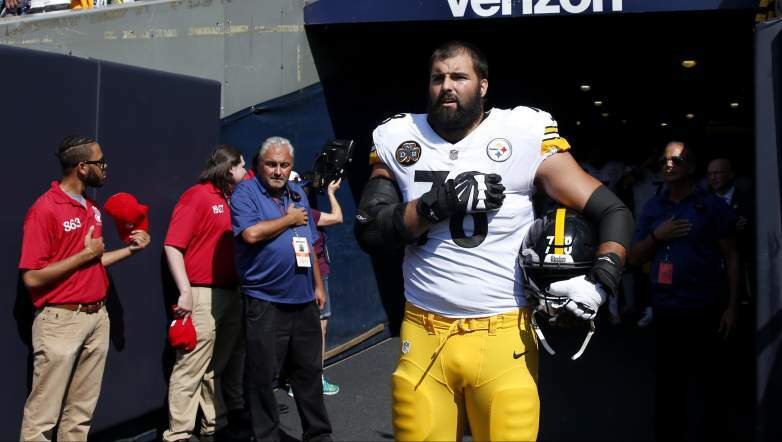 However, if Kaepernick was the one man setting the example for the offense, then yesterday Mr. Alejandro Villanueva, a former Army Ranger, set a perfect example for the defense! While the Pittsburgh Steelers coach, Mr. Mike Tomlin, sought neutral political ground on which to stand, his decision shows a lack of understanding. If Mr. Tomlin truly understands solidarity and team unity, then he should understand that solidarity and unity as a nation is more important than that of a team of grown men fighting over a piece of pigskin filled with air. However, what escapes an apparently growing number of sports figures, commentators, and everyday citizens, has escaped increasingly many political leaders in our nation’s capital as well—sacrificing our national health for some warped political prowess. So, in my thinking, I see two examples before me, representing two sides: Colin Kaepernick and Alejandro Villanueva—the one side offensive, the other defensive. One demonstrates a lack of respect for my country (by disrespecting my flag), about as offensive as it gets, while the other exhibits respect and good character, even if it means standing alone. However, when Mr. Villanueva walked to the head of the tunnel, stood at attention with his hand over his heart, I said to myself, “There’s a great representative of the defense.” It takes character—backbone—to put our highest premium on principles. Principles transcend pigmentation, and it’s high-time that Americans sorted these issues based on principles. While the NFL is filled with tremendous talent, without principles and good character, it becomes a disgrace and dangerous for the health of our nation. BTW, do you pray? If so, wouldn’t today be a wonderful time to pray for the health of our country? Our national health has little to do with politics or pigmentation, but everything to do with principles—well established for us in the Word of God and in the Constitution of the United States. The day began much as any other weekday—get the family out the door to school, finish dressing for the day, and stop at the office. This day would also include a drive to Taylor (MI) for a meeting with pastors from across Michigan. Typically, the truck radio was tuned to Detroit’s WWJ all-news radio. Although that Tuesday, September 11, 2001, may have begun routinely, it was about to change. I muttered about the rush hour traffic along I-96, unaware of the events transpiring in the skies over New York. Governmental agencies were scrambling, trying to locate American Airlines Flight 11 on radar—to no avail—until it crashes into the North Tower of the World Trade Center. At 8:48a, the first live pictures broke in New York City on WNYW-TV. In horror, New Yorkers watched a live feed as more than 100 people, trapped by fire and smoke in the upper floors, jumped to their deaths. But this is only the beginning of horrors. In the span of less than two hours—before anyone could really grasp what was taking place—thousands of lives had been lost. Let me ask you—Where were you when the world stopped turning on the morning of September 11, 2001? Surely, such a series of tragedies should serve as a clarion wake-up call for Americans to soberly contemplate—“God, what do you want us to see, to understand, to learn from these attacks?” Although man may have meant it for evil, is there some good that God can bring from this? Today—11 September 2017, we are commemorating a day of infamy. Let us never shy away from the searing memories of that September day, lest we forget the price that was paid by innocent people who were ruthlessly slaughtered as they were just doing their jobs. Let us never forget the price paid by the heroes who risked and gave their lives in an honorable attempt to save as many lives as they possibly could before they themselves paid the ultimate price. Neither should we forget those brave men and women who risked their lives in service to their fellow man, and who will live with the haunting memories and physical handicaps for the remainder of their natural lives. BTW, do you pray? If so, wouldn’t right now be an appropriate time to thank God for those Americans—both living and deceased—who performed beyond their natural abilities during this crisis which has changed and challenged America? Today, we are also considering a nation in decline. Sadly, the warning signs are everywhere; the caution flag is out. However, the child of God should not be shocked as we review the events of the last sixteen years, especially in light of 2 Timothy 3 as a prophetic template. Those of us who know the Word of God and the God of the Word must understand two critical things. First, these are the last days and the human picture will not be a pretty one, but rather a scene that declines from bad-to-worse. Secondly, as believers, we’re called upon to remain faithful, fervent, fearless, and fruitful. Faithful does not mean a fatalistic outlook on life; neither does it mean that we resign ourselves to thinking that our lives cannot or will not make a positive difference on the world in which we live. Again, I ask, do you pray? If so, today is an excellent time to renew our commitment to God, presenting our bodies as living sacrifices in His service, that by all means available to us, we might save some. Why not pray that kind of commitment prayer to God, wherever you are today? While I firmly believe in that great song—made famous by vocalist Kate Smith—Congress should have been leading this nation in prayers of repentance, giving God a viable reason to bless America. They did not do so, and based on the track record of the last 16 years, they apparently had no intention of doing so. However, my question is this—even if Congress will no longer truly embrace the principles and precepts that our founding fathers held dear, will you? Will the people who claim to know God choose to live like we know Him? from heaven, and will forgive their sin, and will heal their land. While we may sing of God’s blessings on America, “obedience is better than sacrifice!” … how much pressure from without and from within will it take to bring America to our knees in repentance? We need leaders whose character runs deeper than the latest photo op. Has sixteen years laden with disasters not captured our attention? If the vicious attacks of 9-11 didn’t turn our nation to God, what will it take? How many Hurricane Katrina’s, Harvey’s, and Irma’s will be enough wake-up call for us? Are we even listening? God will not force us to obey and follow Him, whether as individuals or as nations. However, throughout history the bitter consequences of disobedience traditionally do one of two things—either lead us to repentance or further harden our hearts in further resistance. My appeal to you is simple: Make a fresh commitment to God today to become a man or woman if influence for Christ. With Elijah of old, I say to you, (1 Kings 18:21 KJV) How long halt ye between two opinions? if the LORD be God, follow him: but if Baal, then follow him. It is insufficient for modern believers to drift along ambivalently or complacently in these closing moments of time, considering that the eternal destiny of millions of people is at stake. We must be sober and vigilant and, as I stated earlier, fearless, fervent, faithful, and fruitful. Heavenly Father, I come to you this morning with sober heart, mind, and spirit—sober because of my own sin, because of the sins of our nation, and because I recognize that your spirit will not always strive with us, and because you have given us ample opportunity to repent. I come into your presence at this very moment realizing that as a nation, we have forgotten you as our God, realizing that you would much prefer that we repent voluntarily of our sin than for us to be judged by your righteousness for it. As best as we know how, we humble ourselves before you now, praying, seeking your face, and determining to turn from our wickedness. We also come, throwing ourselves upon your mercy—that you will hear our prayer from heaven, that you will forgive our sin, and that you will heal our land. We pray for those who lead us at every level of government—that your spirit might move mightily upon their minds, that your hand would turn the king’s heart where you desire—that your people might have rest and enjoy peaceable lives, even in a world filled with turmoil, wars, and rumors of wars. We especially pray for the families of our nation who have an empty seat at their mealtimes because a loved one paid the ultimate price, honorably serving the people of this great nation. Further, I pray that this date of infamy will lead many to newfound faith in Christ and believers to a renewed commitment to standing firm in their faith, as well as becoming proactive as citizens at the ballot box—voting the principles and precepts that they profess to believe. And, God, we want to live in such a way that our lives give you reason to bless this nation once again, and our prayer will always be God bless America! In the name of the One who saves to the uttermost, Jesus Christ, Amen. On Thursday, 13 July 2017, a friend of hundreds of people (especially in the figure skating world), Mr. Terry Watson, quietly stepped across the threshold of death from time into eternity. Only a couple of weeks earlier had he, his family, and friends learned of the diagnosis—advanced, stage-four pancreatic cancer. I wrote a brief blog only minutes after learning of Terry’s death. Unbeknownst to anyone else, and not knowing what my role might be with this precious family, I worked (and cried) for several hours, preparing thoughts in a Word document, just in case I was asked to do Terry’s funeral. 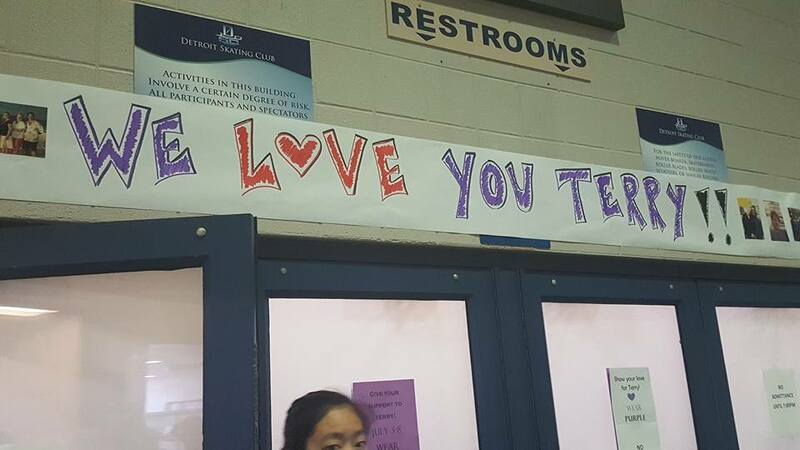 Per his wishes, Terry had a “living funeral” at Detroit Skating Club only days earlier, providing an opportunity for those who could make it there to say their goodbyes while he could still hear them! Now, I want to share some of those thoughts, to bring focus, encouragement, & consolation to all who read them. It is my prayer that these words may become a focal point of comfort & blessing to those bereaved by Terry’s passing. One of life’s greatest blessings is the privilege of building relationships with other people. (That makes times like this simultaneously difficult & comforting. Whilst we’re born into some relationships, we must build them in order to maximize them. Other relationships are built from scratch into great marriages or friendships. Such was the case with two friends in the Old Testament—David & Jonathan. (1 Sam 20:18 KJV) Then Jonathan said to David, Tomorrow is the new moon: & thou shalt be missed because thy seat will be empty. Those two phrases speak an inescapable reality that must be confronted. The Watson family demonstrated a remarkable togetherness for decades, especially in recent weeks with Terry’s diagnosis of pancreatic cancer. Further, the out-pouring of concern & love expressed to them by the Detroit Skating Club was remarkable as well. Consider those two short phrases for a moment. The seat of a son is now empty, and he will be missed. Please understand that, when I make that observation, this is something I have experienced. To lose a child—regardless of their age—is one of the most heart-wrenching experiences a parent can have. Further, the seat of a spouse is now empty. Earlier, during a phone conversation between Di and me, she quietly stated, “I miss him already. 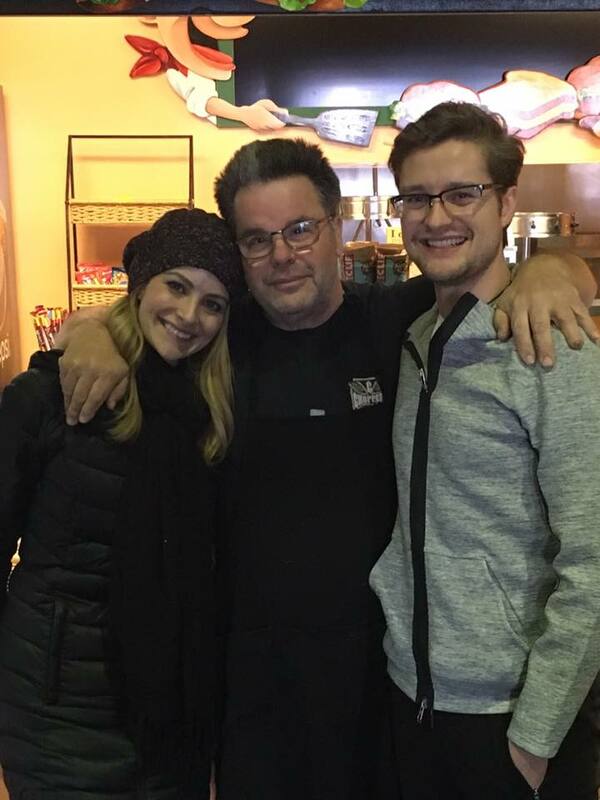 I expect to hear his voice any moment.” What a beautiful testimony this couple has given us by the love they have shown each other in the presence of all who ever knew them. And Di, what a wonderful legacy you and Terry have given to your daughter Bethany. When you sense that loneliness creep over you, and feel the emptiness of that chair at the table, remind yourself that, although you loved Terry dearly, God loved him even more. The seat of a father is now empty, and I know he will be missed—again, something I understand personally. This is a tough one too, because, although the world has millions of fathers, this one was yours, Bethany, but let me encourage you with something that I have seen in your family. And, Bethany let me be honest with you—I don’t know exactly how you feel, but from someone whose father died several years ago, let me say this—None of us understands why death reaches its icy fingers into our lives the way it does, but accepting God at His word, we can find comfort, peace, & perspective. In coming days as you notice that empty seat, & miss your wonderful dad, never forget how much your father loved you. Terry left you with many noble character qualities as an example that you can follow; so identify them, commit yourself to them, & walk in them. Death always touches more lives than the immediate family. The seat of a friend is also empty—and Terry had many friends. Now, by the hundreds, we’ll be see an empty seat in our circle of friendship, & we will miss him. Most of us are old enough & experienced enough in the rigors of life to know that friends are made & not met—that if one makes a dozen loyal friends in the run of a lifetime, we’ve done well. Watson family, you must know that your husband & father was that kind of friend to many people—& especially so to the many skaters whose lives he touched. Finally, I notice that the seat of a saint is now empty here on earth, but one has been filled in heaven—and that’s the end game, not earth. 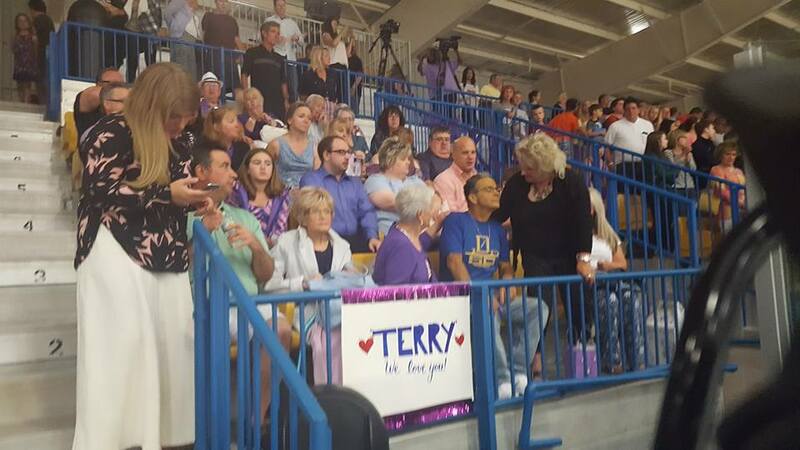 As Terry sat on a stool, with the three of us standing around him, I covered some critical bases with Terry before asking him a summary question—one that I’ll ask you momentarily. While Terry Watson was one of the greatest guys you’ll ever meet in your lifetime, you need to understand something else—despite all the good that he did, he was a sinner! I could not tell you what one of his sins were—he never confessed to me, & I was always too busy confessing my own—but I know that he was a sinner (that’s the bad news). (Rom 3:10) There is none good, no, not one. However, the good news is that Terry confirmed that he had addressed the sin problem & called on the only person who can help anyone with a sin problem—Jesus Christ. Do you realize that the only hope we have of ever seeing Terry Watson again is in heaven—& the only way to get there is by following Terry’s footsteps to the cross of Calvary, & asking Terry’s Savior to become yours. (Isa 55:6) Seek ye the Lord while he may be found, call ye upon him while he is near. It’s at times like these that pastors are called upon to offer words of comfort. However, I must be honest with you—the comfort needed in times like these is not found me, but rather in the person of Jesus Christ—the God of all comfort. (John 14:1-3 KJV) (Jesus said) Let not your heart be troubled: ye believe in God, believe also in me. In my Father’s house are many mansions: if it were not so I would have told you. I go to prepare a place for you. And if I go to prepare a place for you, I will come again, & receive you unto myself; that where I am, there ye may be also. This leads me to ask—Have you trusted Jesus Christ personally as your Savior? You see, the relationships we have here in time determine to some extent our level of happiness here on earth. However, it’s the relationship that we establish here on earth with Jesus Christ that determines our happiness for all eternity in heaven. BTW, do you pray? If so, why not take this moment to affirm or reaffirm your relationship with Christ? For forty years Terry and his wife Diane operated the Ice Sports Café off the main lobby of Detroit Skating Club, one of the world’s premiere training facilities. While there are numerous reasons why DSC became a club of renown, one of the reasons has been Terry Watson and people like him. That may sound strange to some people, especially since Terry really had nothing to do with coaching Olympic hopefuls or training world medalists on-ice. However, he had everything to do with setting an example, creating an atmosphere, and establishing a mindset for winners … oh, and serving up some pretty darn-good, delicious food! No matter who came through the doors at DSC—a newly enrolled learn-to-skater, a hockey player from any of the high schools or universities that called DSC their home ice, seasoned world and Olympic medalists, parents, grandparents, or nannies—if they interacted with Terry, the thumbprint of his influence on them was certain. 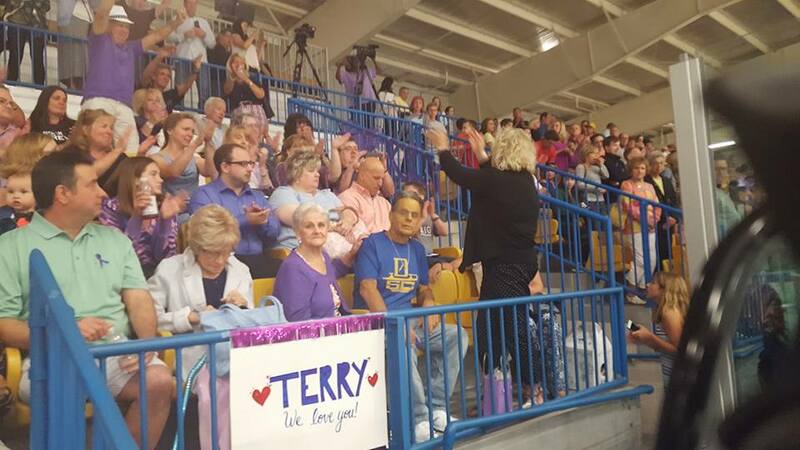 Last Friday evening, 130 skaters took the ice in front of a packed house in C-Rink at DSC to honor their friend Terry, who only a couple of weeks earlier had received the diagnosis of advanced Stage-Four pancreatic cancer. I was there – for three reasons really. First and foremost, I love Diane and Terry Watson, so I was in town and wanted to be there for them. Second, my wife Debbie (DSC office manager) had assigned me the responsibility of purchasing several cases of bottled water and delivering them early for the huge meal that DSC members brought for the event. Third, Diane and Terry had asked if we could talk privately. What I observed throughout the evening is beyond my ability to adequately describe, so I won’t even attempt it in detail. 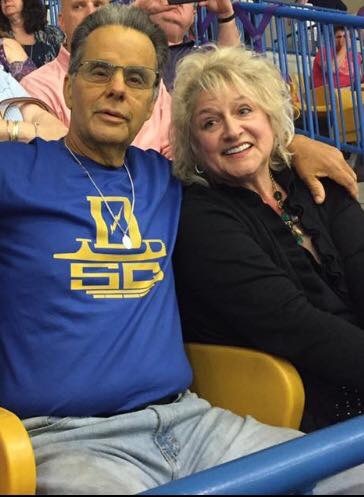 However, I want to summarize it this way—Terry Watson, with his precious wife Di and daughter Bethany by his side, and his extended family surrounding him at center ice, gave a standing ovation to the representative crowd to whom he had given his life—one specially prepared meal, snack, or encouraging word at a time. 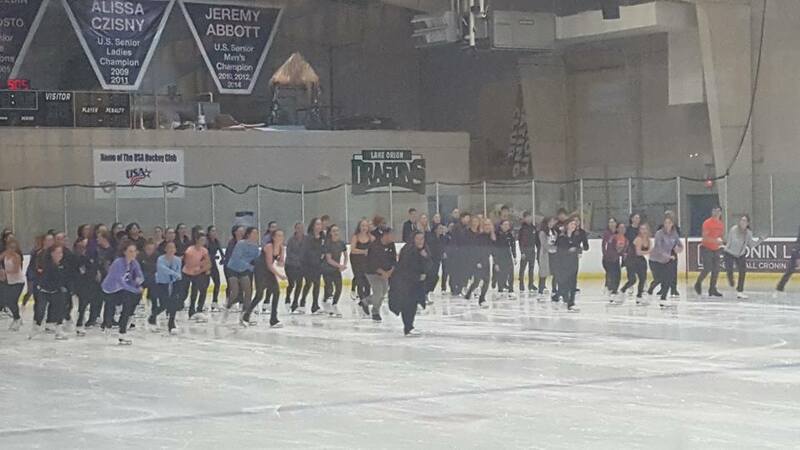 Further, Terry and his entire family graciously allowed hundreds of parents and skaters the opportunity to come by for a few moments of private words, hugs, and photo ops. A few hours later, Debbie, Diane, Terry and I got our few minutes together privately—behind the closed door of the Ice Sports Café, moments which I will harbor in my heart as some of life’s most precious. This morning, Terry stepped from time into eternity. The loss hurts everyone who knew and loved him. However, we have awesome memories until we catch up with him one of these days … and I have it in my mind that there will be a time when Debbie, Diane, Terry, and Dale will join hands there, just like we did here! We are the persons that the sum of our decisions has made us—for good or for bad. For some folks, that isn’t so bad. However, for a few people that isn’t such a good thing. What do I mean? 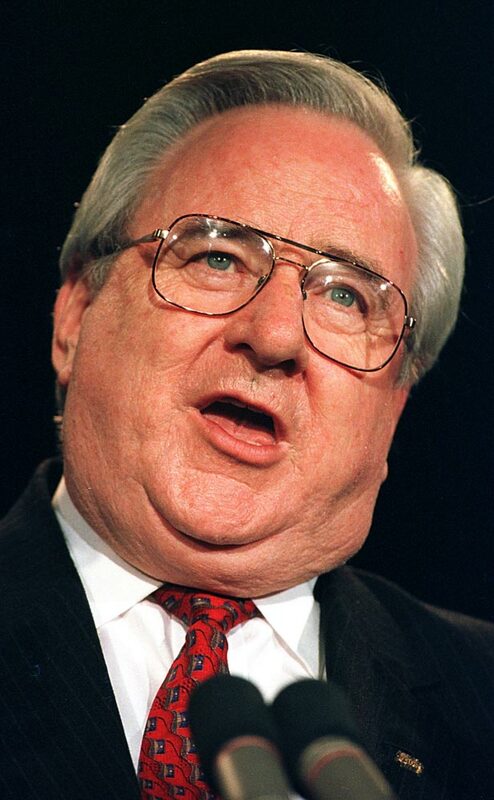 Years ago, the late Jerry Falwell and I were on a plane from Lynchburg (VA) to New York City. Before reclining his seat and sleeping, Falwell made this statement: “Dale, it’s more important to learn how to make decisions right than it is right decisions.” While Jerry slept, I scratched my head, wondering what in the world he meant! The moment our decent began, Jerry sat upright, reached for his electric razor, and began buzzing away the five o’clock shadow. Immediately I asked him to explain exactly what he meant by his statement. Basically, he explained, life is a series of decisions. Since none of us can or will make them all correctly, it behooves us to learn how to correct them—make them “right”—as we journey along life’s road … which brings me back to my hypothesis—we have become the people that the sum of our decisions has made us. The same is true for the use of everything, although some people never seem to understand this concept, sadly. Across America several millions of gun owners collect thousands of guns, never harming anyone, while a few thousand people choose to misuse an inanimate weapon to maim or kill. Unwise people focus blame on the weapon rather than on the person who chose unwisely. Just don’t focus so much on the beginning that you forget that the ending doesn’t have to look the same as the beginning. You have choices. You can make decisions that can change a bad beginning into a wonderful ending! BTW, do you pray? Have you ever asked God to do for you that which you cannot do for yourself—give you everlasting life? If not, would you make the choice to do so right now? Tomorrow may be too late … but right now never is! For those who have made the decision to believe on the Lord Jesus Christ, you do understand that a lifetime of decisions is still yours to make, right? You will not make them all correctly, so why not ask for God’s help each day to guide you in making wise decisions as well as the wisdom to correct the bad ones along life’s trail?